About our business…. We are located Between Aughrim and Tinahely in Co. Wicklow. 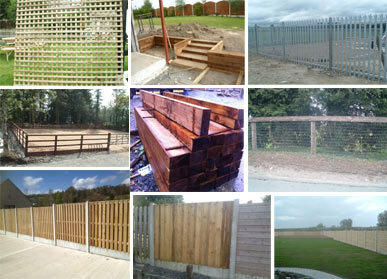 And cover all of Leinster with fencing fitted or nationwide on delivery of fencing. We also supply and fit a wide range of timber and steel gates.Our side gates and entrance gates are all made from top quality pressure treated timber. Abbeylawn was started in 1995 and has grown from strength to strength over the years. Garden Fencing has always been at the heart of our business. We work on sites and have tax clearance cert and all qualifications for this work. We fit garden fence panels in concrete posts and timber posts. We also fit security fencing in Palisade and Ibex Mesh fence in a range of color or galvanize. For garden fencing we will not be beaten on price or quality.We are properly insured for all work we provide. We try to come in and get most jobs finished in one day and no disrupt you as much as possible. For the Farmer we supply all types of wire fencing material including Sheep Wire, Barb Wire and Horse Wire. Round and square farm fencing stakes or posts. All our garden fencing stakes are pressure treated. We also supply and fit garden fencing. We can supply only or Supply and fit the full range of Timber Gates including Entrance gates and side gates.We make all our gates to order in all sizes and designs to suit your house. Our TGV side gates are the most used type.Our yard is located Near Tinahely co. Wicklow. But we Supply and fit Garden fencing in Dublin, Kildare, Carlow, Laois, Wexford, Waterford, Meath, and most other counties.